Frizz has always been my number one hair problem. With my very fine but wavy hair, I don't get a few fly-aways here and there, I literally get a halo of frizz all around my head... I've found some styling products that help, but I have to use a ton and they don't completely remove all frizz. So when I was offered to try the Hair Remedie Frizz Eliminating Towels, I jumped on the opportunity to try a natural way to get smoother hair! 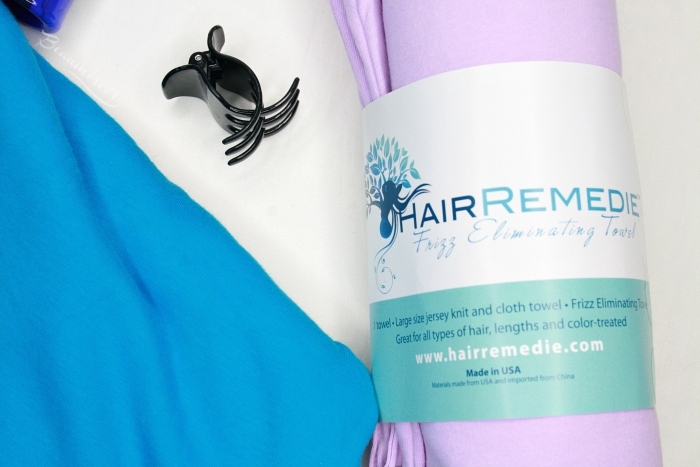 Hair Remedie is a small woman-owned indie brand that created a hair towel unlike any other. 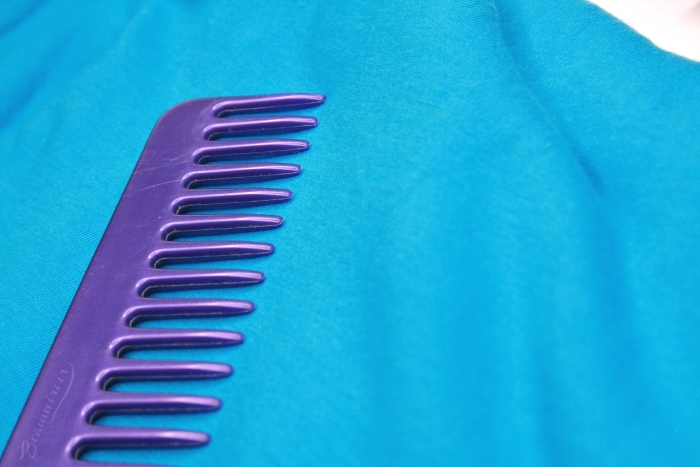 The patented design was invented by the owner, Heidi Wicker, after years of experimenting on her own curly hair. The Frizz Eliminating Towel has two layers: an outer layer made of soft knit and an inner layer of ultra-absorbent material. Only the super soft T-shirt like fabric touches your hair so there is no damage, but the absorbent inner layer soaks up all the water effectively. Whatever towel you are using, here's one thing you should NEVER do: rub it all over your head. Hair is most fragile when it's wet, so the rubbing causes breakage and damage to the hair fiber. That's how you get split ends! Instead, you should gently squeeze your wet hair in the towel, then wrap it around your head and let sit for a while so the excess water is absorbed. 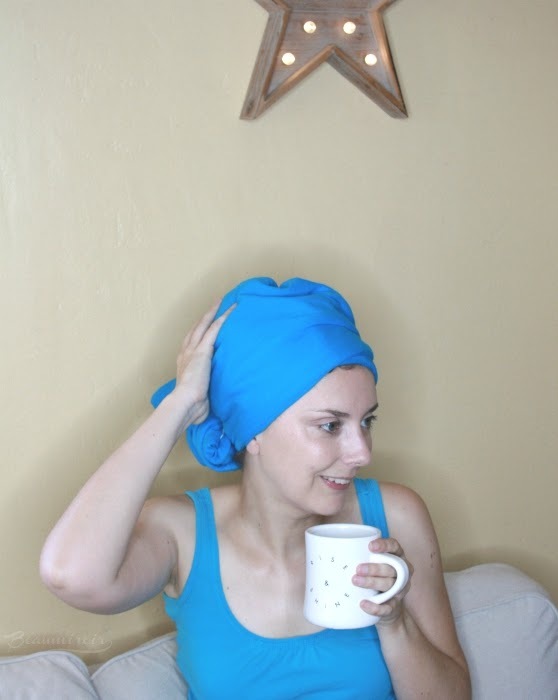 The Hair Remedie Frizz Eliminating Towel is about 39x25 inches, which is the perfect size to wrap around my head easily. I've noticed that with the very soft outer fabric it tends to slide a bit more than classic rough towels, so sometimes I'll use a hair clip to keep everything in place. I was a bit skeptical about the claims that it would dry my hair faster, but it totally does! After a few minutes wrapped in the Frizz Eliminating Towel, my hair is barely damp. I always air dry, and my total drying time is much shorter than usual when I use these towels. The main idea behind the Frizz Eliminating Towel is that the super soft knit is the only material touching the hair, so it protects it from damage created by classic rough terrycloth. 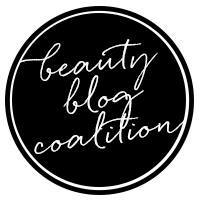 I do feel like my hair is less tangled and smoother when I remove my wrap than with a regular towel, but where I see the biggest difference is with the amount of styling products I use. I need significantly less product to smooth out my hair and tame the frizz. 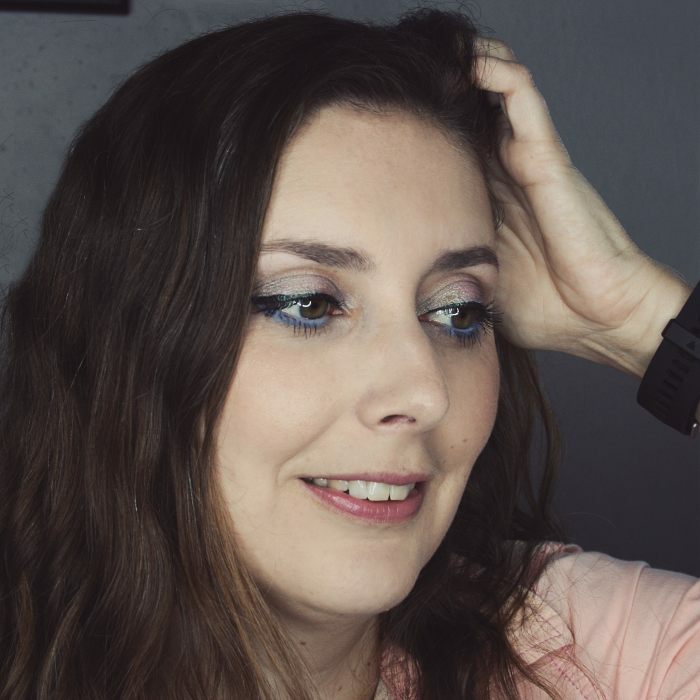 It's saving me money, but it also means that I can wait longer in-between shampoos: with less product in my hair, it doesn't get greasy as fast. 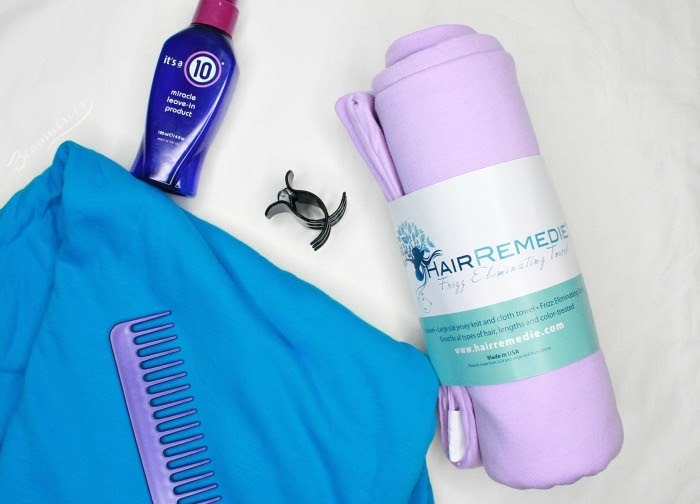 The Hair Remedie Frizz Eliminating Towel is a neat tool to try if you have issues with frizz or easily damaged hair. It is suitable for any hair type or texture, and works particularly well for fine, wavy hair like mine, helping it remain smoother and healthier. It's a good investment at $23.99 and you can use code PRIMP for a 15% off discount on Hair Remedie's website! 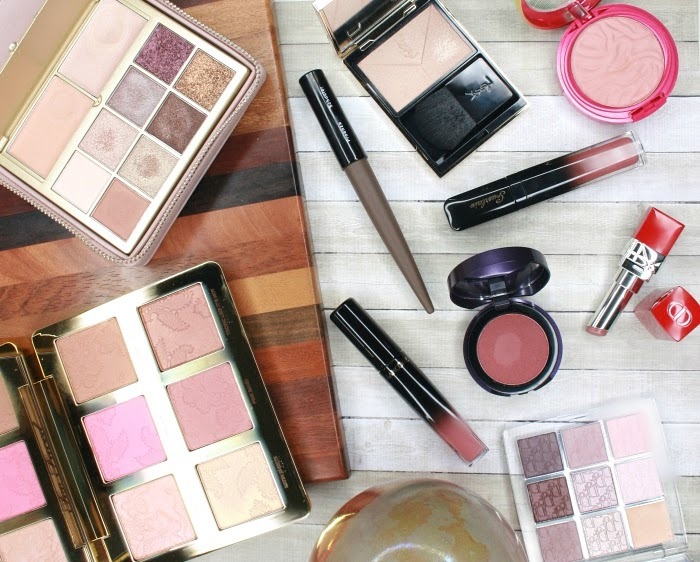 The product featured in this review was provided by the brand for consideration. I received no compensation other than a free sample to write this post, which only reflects my personal opinion.